Michael and I have asked lots of questions in the first 254 episodes. So for this episode, we are trying something new. We let our Facebook group The Fantasy Worldbuilder’s Undercroft ask anything and to our surprise, they had some fun, tough, and good questions for us to answer in this episode. If you are not a member you will have to ask to join make sure to answer the three questions. The Very cool and needed “Seize the GM” podcast of the Undercroft comedian Derek. 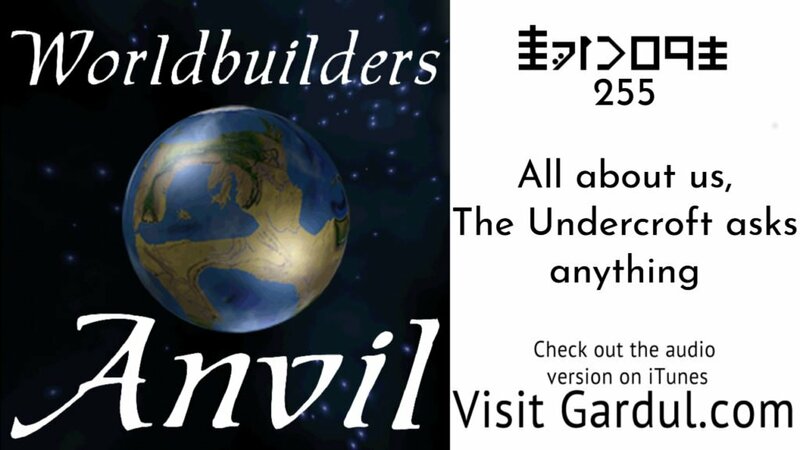 Join the Fantasy Worldbuilder’s Undercroft and improve your Worldbuilding.